Raise money to support our Scholarship Fund. The Scholarship Fund will award deserving young people that show exceptional leadership skills and desire to peruse STEM education and careers. IF YOU HAVE NOT PURCHASED YOUR TICKETS SEE MONIQUE LAKE. IF YOU ARE ATTENDING THE FUNDRAISER, PLEASE COME TO THE BACK AREA IN THE MEETING ROOM SPACE. Join us at the Palace on Saturday, January 21st to watch the Detroit Pistons take on the Washington Wizards. Tickets are available in lower end seating for the exclusive price of $60 (a $75 value). Tickets can be purchased online at Pistons.com/NSBE. They cannot be purchased at the Palace box office. The deadline to purchase tickets is Sunday, January 15th. 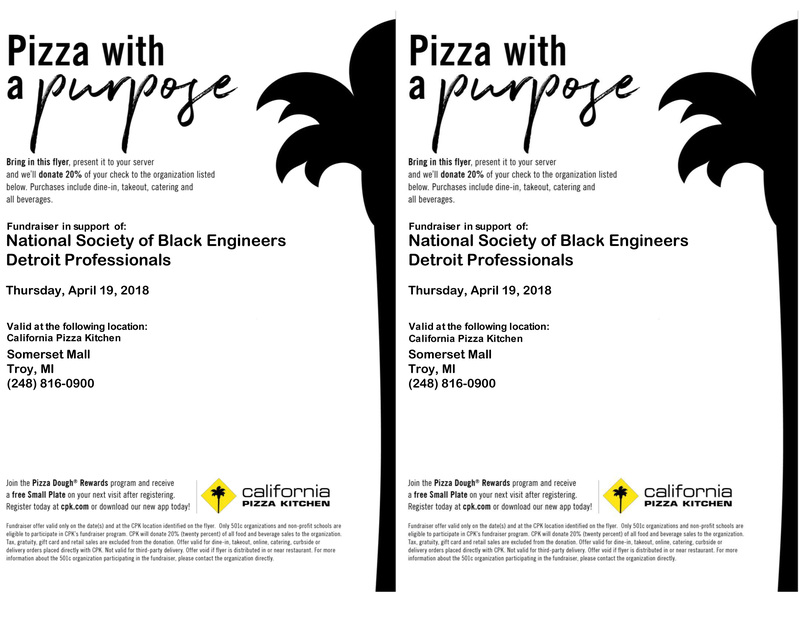 Join us at the Palace of Auburn Hills to watch the Pistons take on the Washington Wizards, and help contribute to NSBE Detroit. The game will take place Saturday, November 21st at 7:30 pm. Tickets are available in the lower level for the exclusive price of $55 (a $70 value). 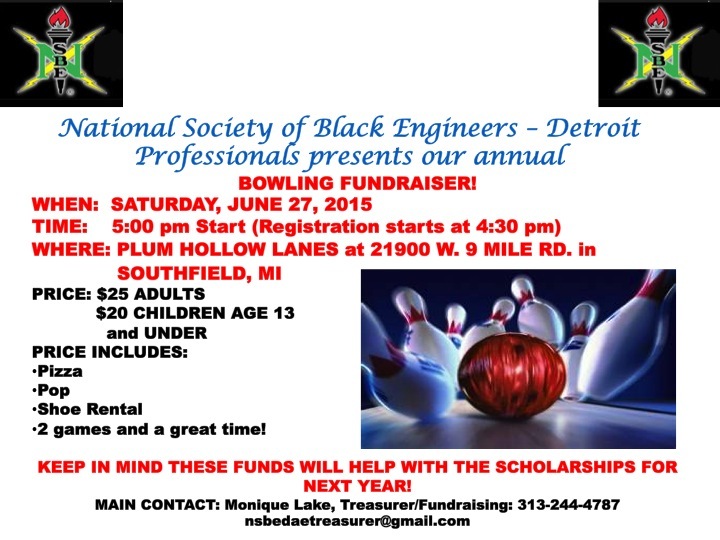 Proceeds from each ticket will benefit the NSBE Detroit Professionals Chapter. Raise money to support the 2015 Scholarship Fund. The Scholarship Fund will award deserving young people that show exceptional leadership skills and desire to persue STEM education and careers. We look forward to seeing you on APRIL 7, 2015 to watch our guests cook up your meal on our 2,000 pound, 600 grill !!!!!!!!!!!!!!! !